We talk about the need for leaders to be visible… commanding… present… courageous. We think of strong leaders as those who, by moderating their tone or telling a memorable tale, can make a crowd roll with laughter or fall silent in reflection. A strong leader’s brand is associated with words like intelligence, inspiration, vision, and influence. It’s true – these qualities define how a leader shows up at work. But what do they mean – if anything – to how a leader actually impacts the work? How she encourages people toward desired outcomes? How he creates an environment where talent feels respected, valued, and fully utilized? Great leaders are more than their persona. Their brand is a blend of tangible results, process improvement, creative solutions, and talent development. If they’re really good, they’ve been the “wind beneath the wings” of emerging leaders who will rise up after them, ready and able to conquer the world. There are indeed times when leaders should step onto center stage. But other times, the most important step a leader can take is a step out of the way. Here are five common missteps (pun intended) leaders make when they’re trying too hard to “be the leader,” and a few thoughts about how to do things differently. Misstep #1: You put your fingerprint on everything. Do you find yourself re-creating other people’s work more often than not? Do you feel compelled to comment after everyone else so you can have the last word? If so, next time you’re tempted to add your perspective, consider whether it’s truly valuable. Are you making the work simpler? Faster? Clearer? More accurate? More compelling? If not, leave it alone. We compromise efforts by unnecessarily adding our two cents. Don’t risk devaluing others’ contributions. And don’t waste time. Misstep #2: You need credit. Do you feel annoyed when people talk about your idea and don’t mention you? Do you frequently pre-empt your team members by having meetings before the meeting, so you can be the one to set context? Consider this: While it’s important for your management to understand how you make a difference, credit as a goal unto itself is overrated. Some people seek credit, only to lose credibility. Be more concerned with whether your ideas are implemented and positively impact the company. Credit is so yesterday. Instead, strive for adoption. Misstep #3: You try to do it all. Misstep #4: Everything has to go through you. If your team can’t make a decision, or work is held up because you’ve not yet reviewed or approved it, it’s time to question how enabling you really are. You may not even be conscious of the tone you set, but sometimes a team’s hesitancy to make a call stems from your bad habit of reversing decisions. That, or they’re unclear about what you want. Do people know what you expect? It’s great to be a champion, a guide, and even a director when needed. But don’t be a bottleneck. Misstep #5: You don’t trust your team to represent your work. If you want to lead every conversation that takes place about your work, even on parts others supposedly own, you may need to step aside. Clarifying roles and responsibilities is helpful. Once you’ve done this, it’s important to stay in your lane. If a project is heading into a ditch, by all means, step in. Otherwise, clarify your goals and expectations, then trust people to get the job done. Don’t insert yourself just because you can, or because you feel the need to appear in control. There are many articles written in celebration of loud and proud leadership, and I’m a firm believer in boldly claiming your leadership voice. But leading from the sidelines has its place. If we want to enable meaningful contributions from all and maximize our talent, it’s important we find that place…and learn to occupy it gracefully. 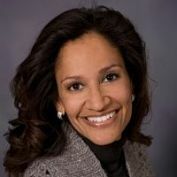 Tara Jaye Frank is VP of Multicultural Strategy for Hallmark Cards, Inc. and the author of Say Yes: A Woman’s Guide to Advancing Her Professional Purpose, written to help women from all cultural backgrounds chart a career course they can believe in and achieve. Follow her on Twitter @tarajfrank and Facebook at Facebook/tarajayefrank, or visit her at tarajayefrank.com.